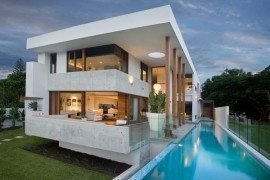 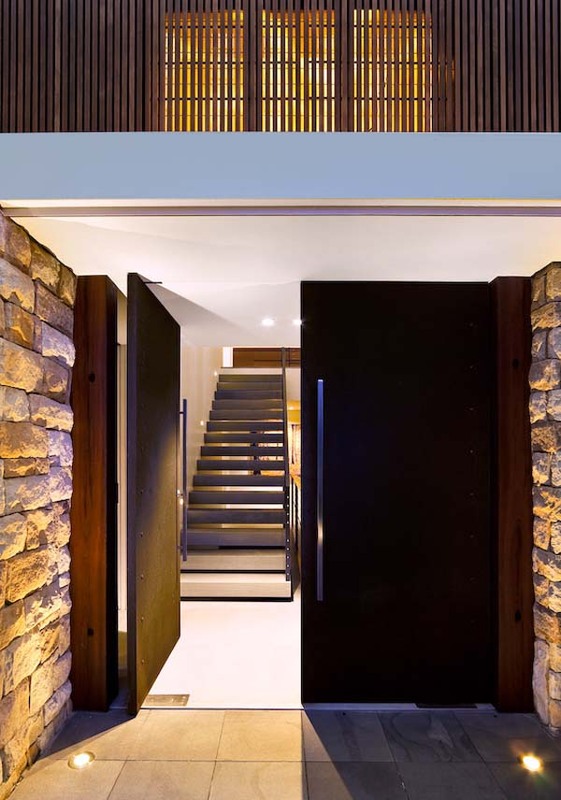 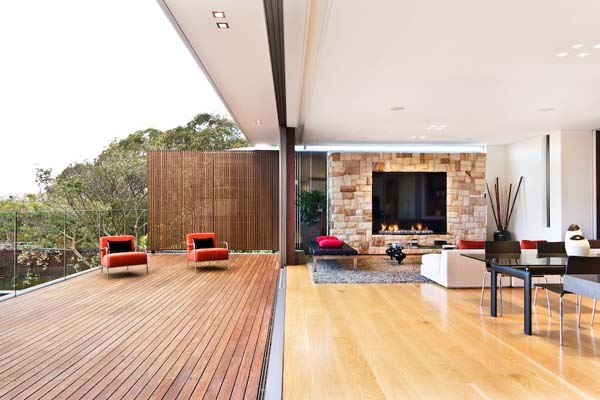 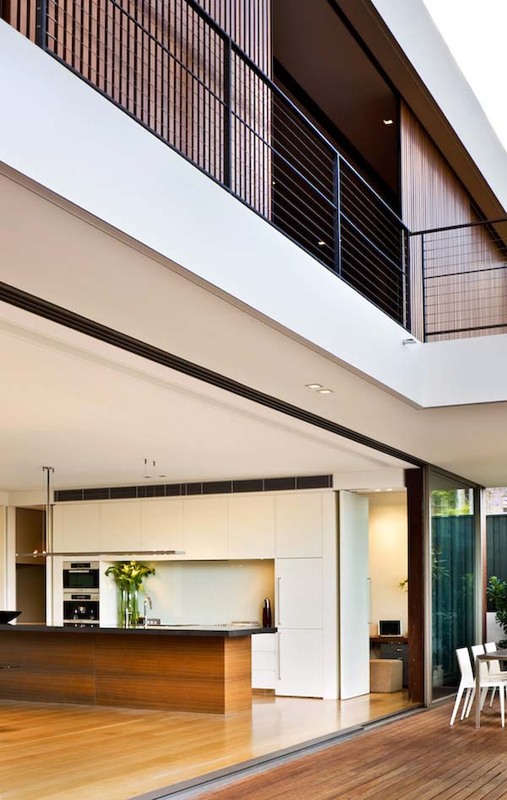 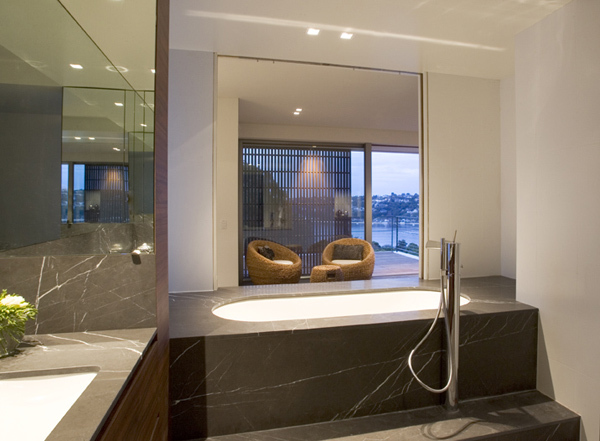 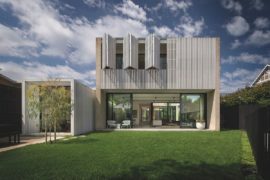 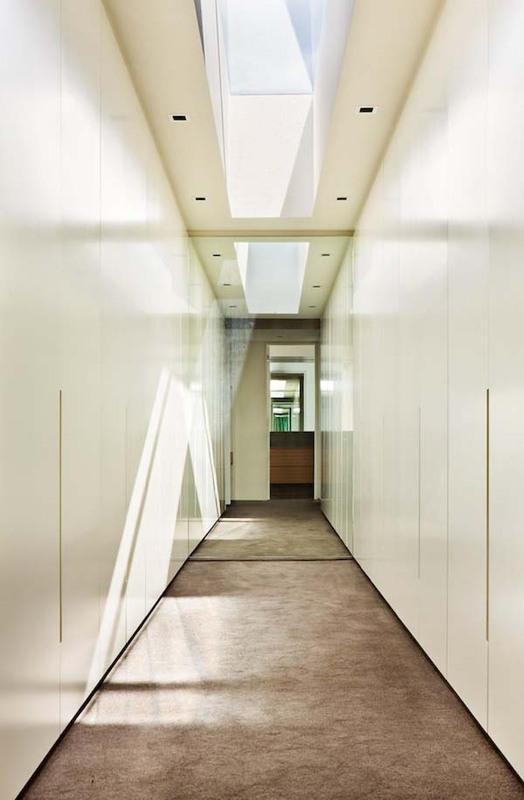 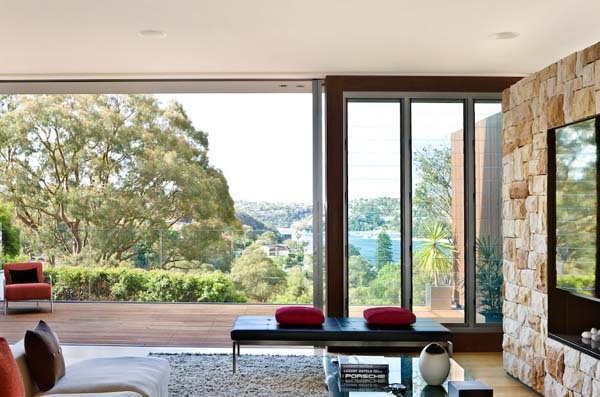 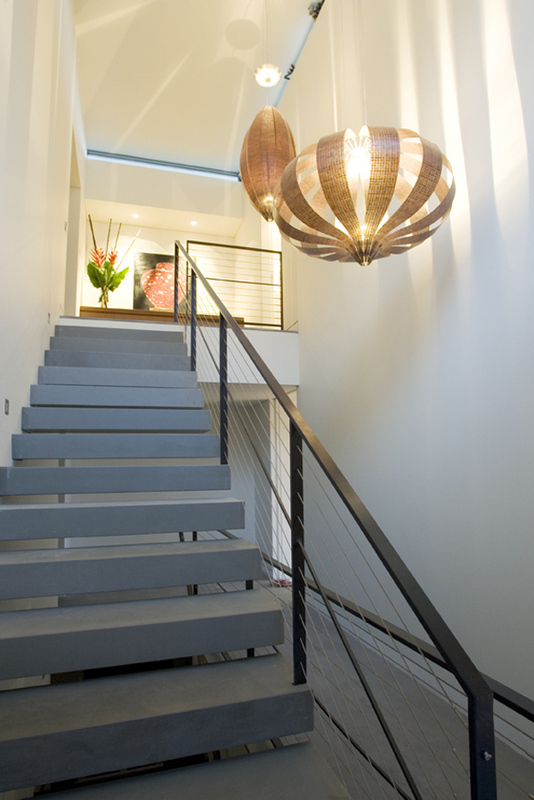 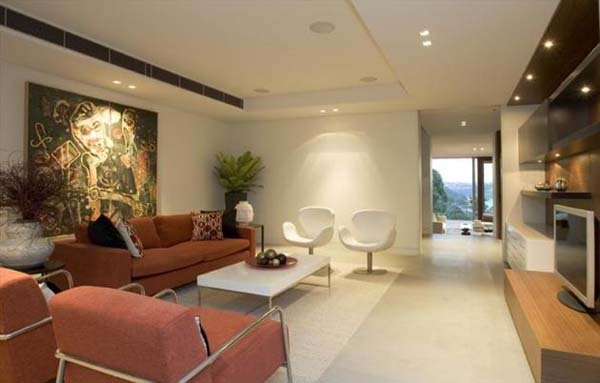 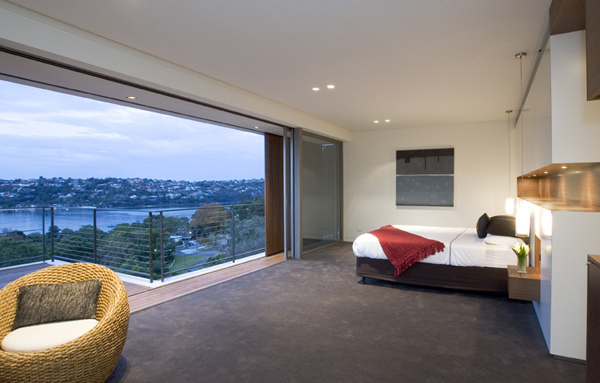 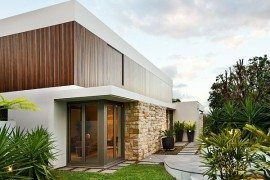 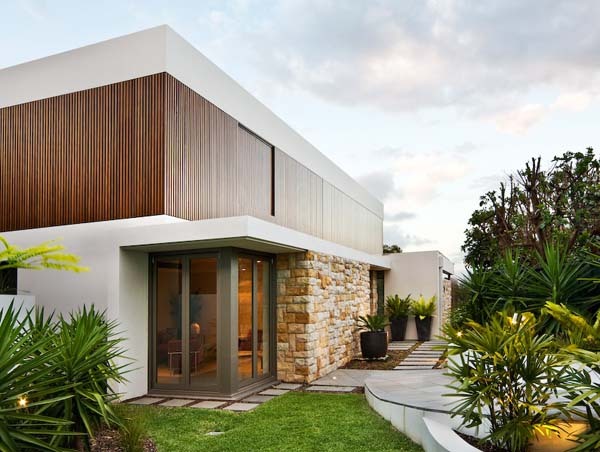 The Warringah House was designed by Corben Architects on a 3,800 square foot surface. 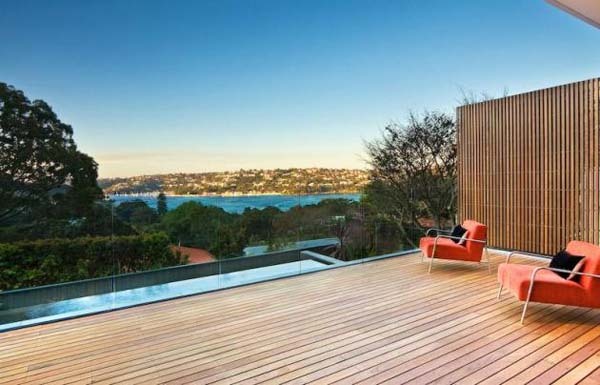 The three-story residence is located in Sidney, Australia and features exceptional panoramas of Middle Harbour. 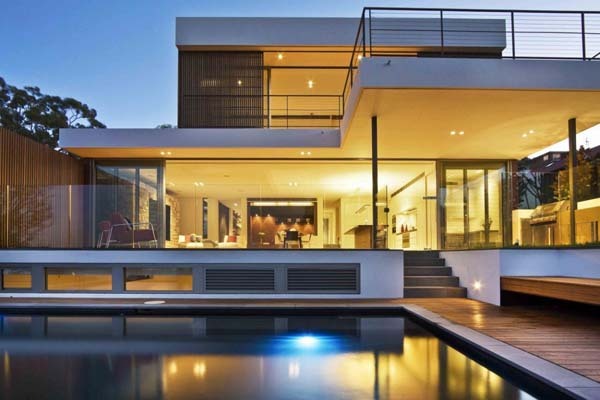 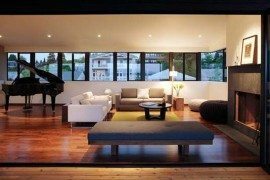 Although the house is defined by the extensive use of glass, the inhabitant’s privacy is protected from indiscreet eyes. 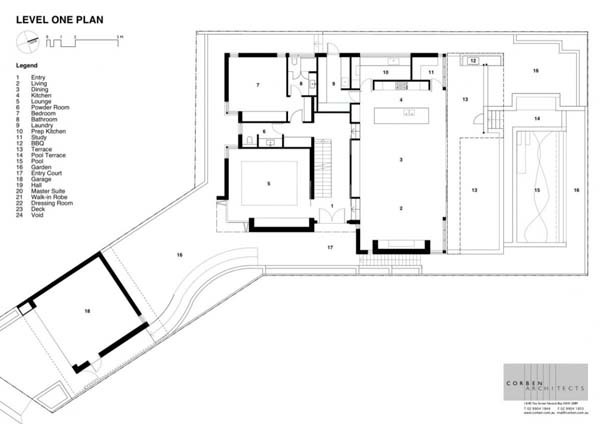 The single-family residence features wide open spaces built for the enjoyment of the family. 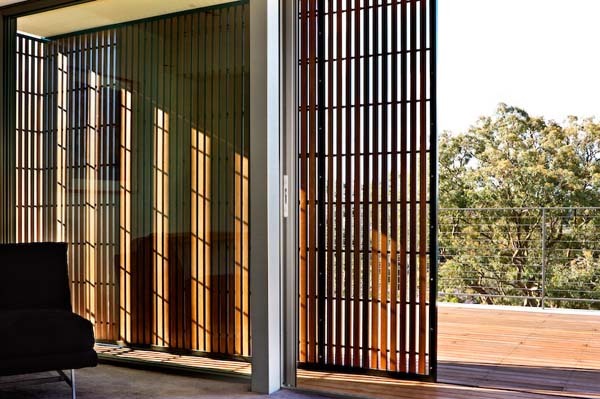 A timber battened garage door and metal framed entry gate protects the front part of the house, while the backside allows sunshine and fresh air to circulate. 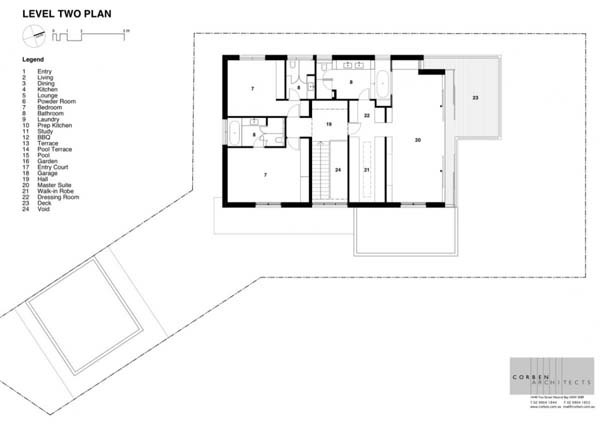 Two living areas and a guest wing are located on the first floor, together with the kitchen and different storage spaces. 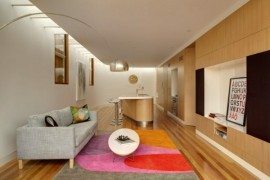 The second floor features three additional bedrooms and the whole house has a contemporary feeling, accentuated by modern furniture. 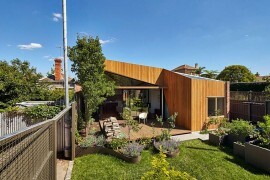 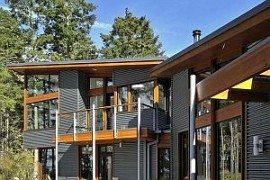 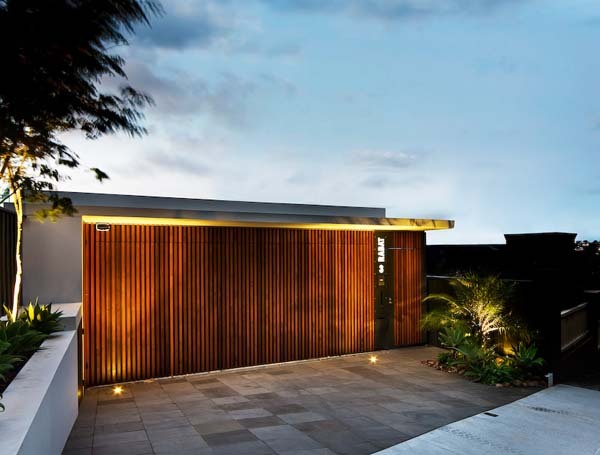 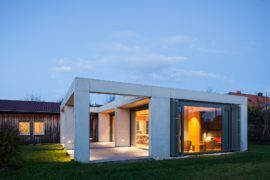 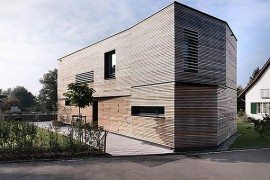 The exterior facade is made of timber battening and sandstone cladding.